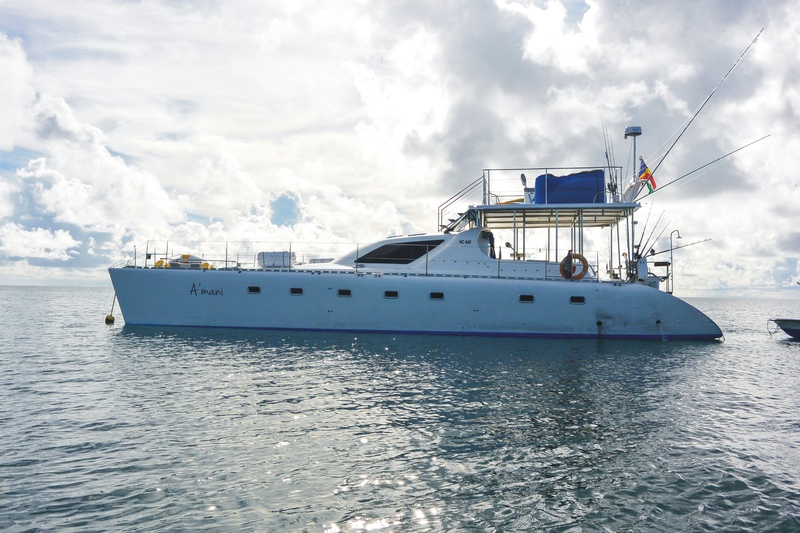 The long awaited launch of our Amirante liveaboard trips onboard our Alphonse Fishing Company owned and completely refurbished A’Mani has finally begun. 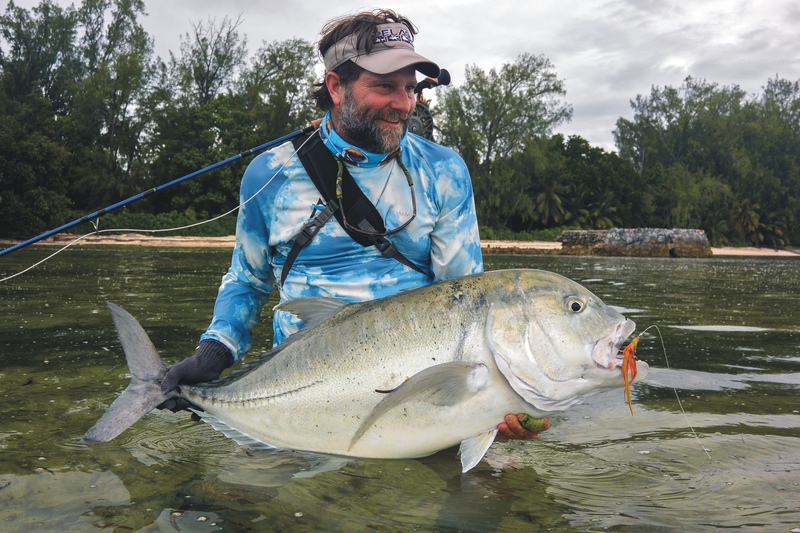 The combination of game fishing while moving between atolls and flats fishing on the best tides makes for an amazing experience. 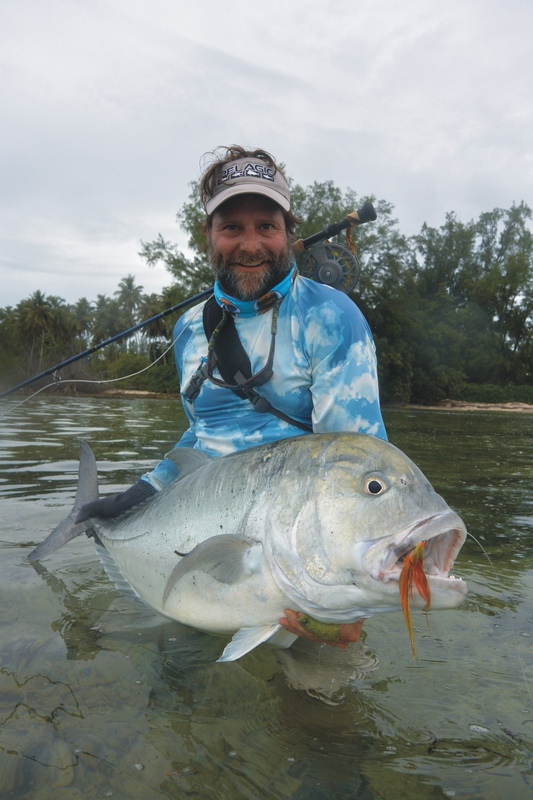 We offer professionally guided trips to most of the Amirate atolls, like Poivre, African Banks, Sand Key and Rimere. 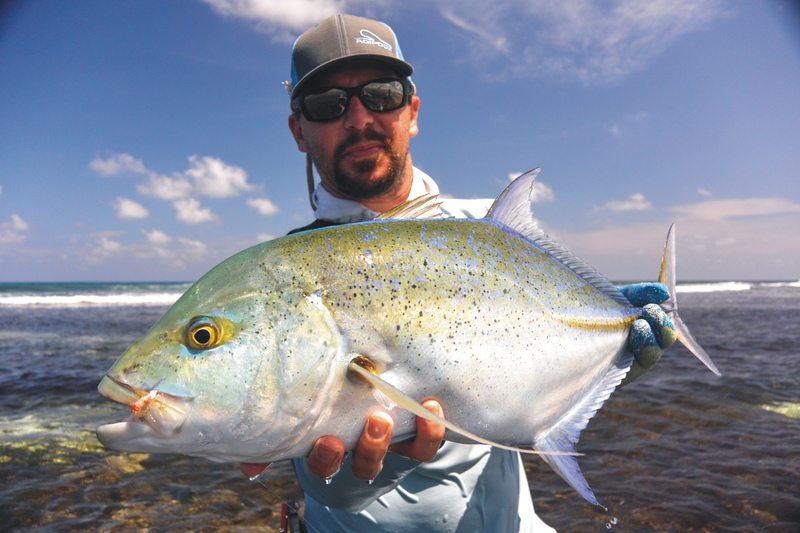 These areas are not only well known for fantastic offshore fishing but also incredible amounts of permit on the flats. A’mani is only available on an exclusive charter basis and caters comfortably to groups of between four to six guests. 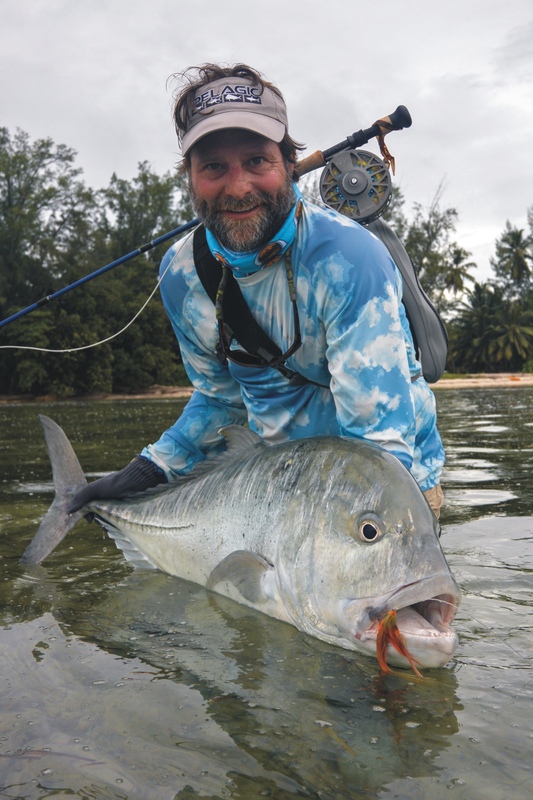 A’mani is fully rigged to cater for fly fishing, game fishing, and spin fishing groups. 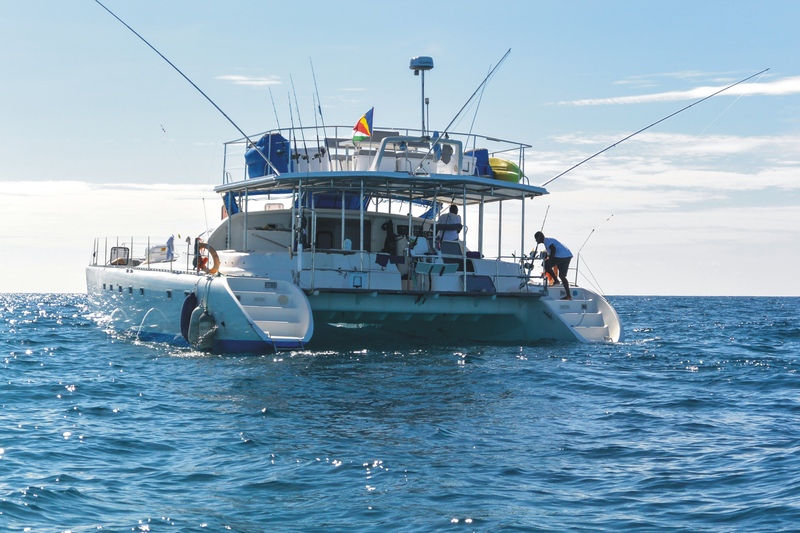 A newly refitted 54 ft motor catamaran that caters to affordable fishing trips with small groups. She is stable, spacious and more importantly has a 1,85-meter draft that allows her to anchor in calm lea waters. 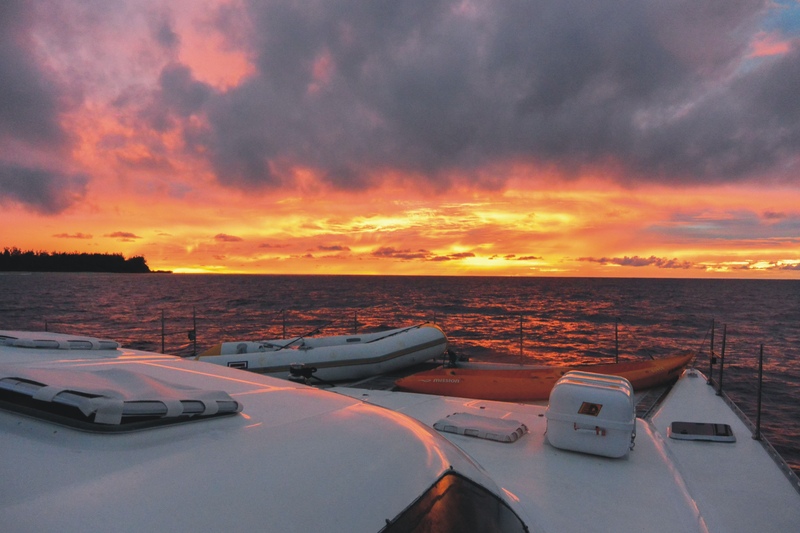 After months of planning and a major refit, A’mani was finally ready for its maiden 10 day charter to various islands in the Amirante chain. 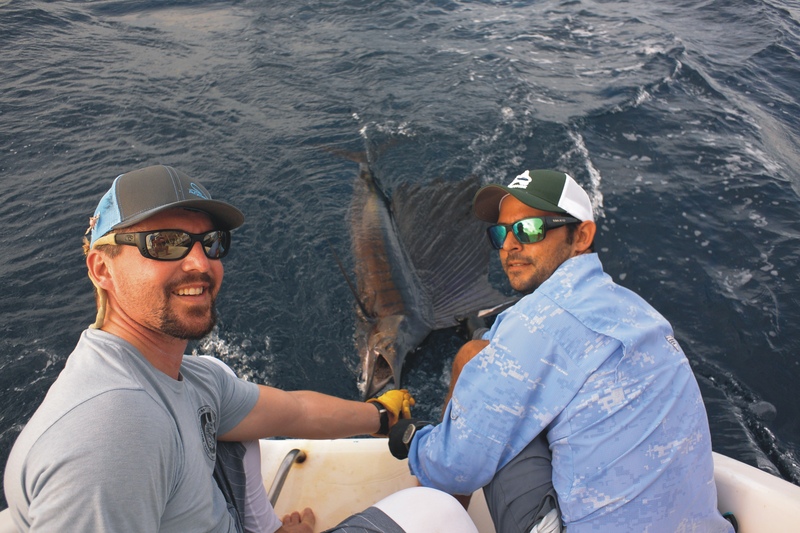 The schedule was set to capitalize on the amazing bluewater game fishing as well as phenomenal flats fly fishing that the Southern Amirantes has to offer. Mike D, Tim B, Mike W and Jed M where our four permit junkies and great ones at that! 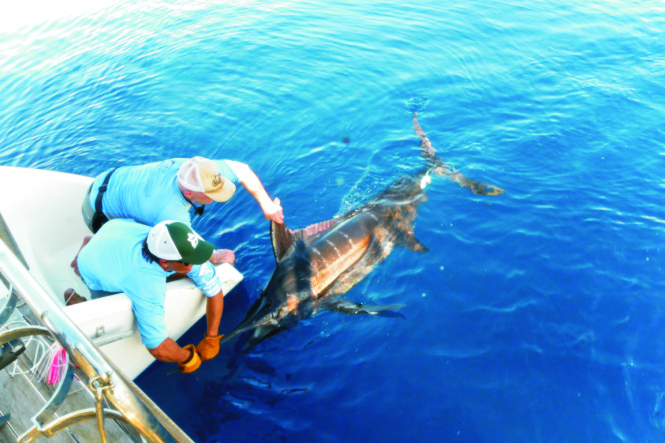 The trip got off to an unbelievable start with Jed hooking a Blue Marlin on the trawl while moving to the first scheduled atoll stop. 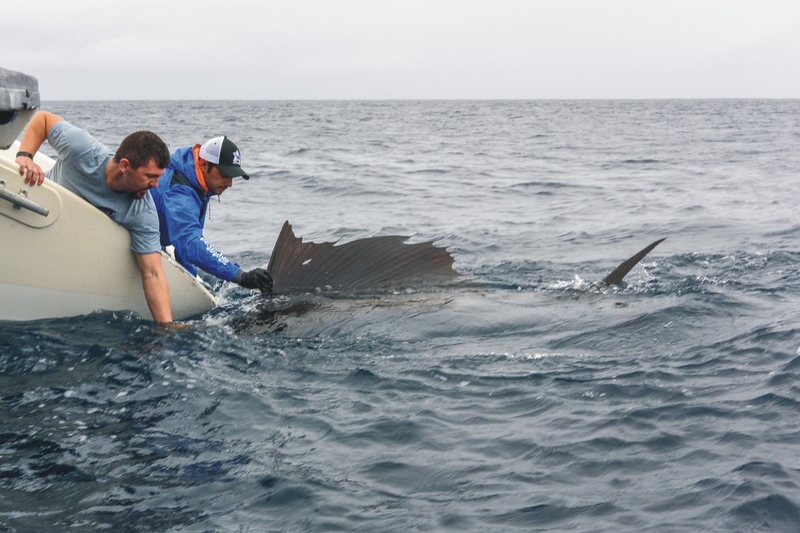 After an excessive acrobatic fight, the magnificent fish was released and estimated to weigh a whopping 500lbs! 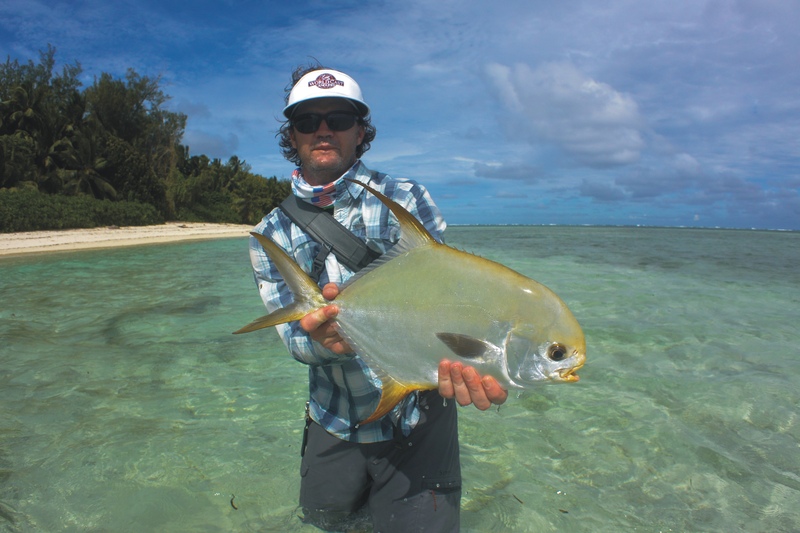 The action intensified when the team hit the flats at “Atoll X”. Jed continued his luck by hooking and landing a 95cm GT only five minutes into the session. The GT’s were going wild while chasing Baitfish across the flats. 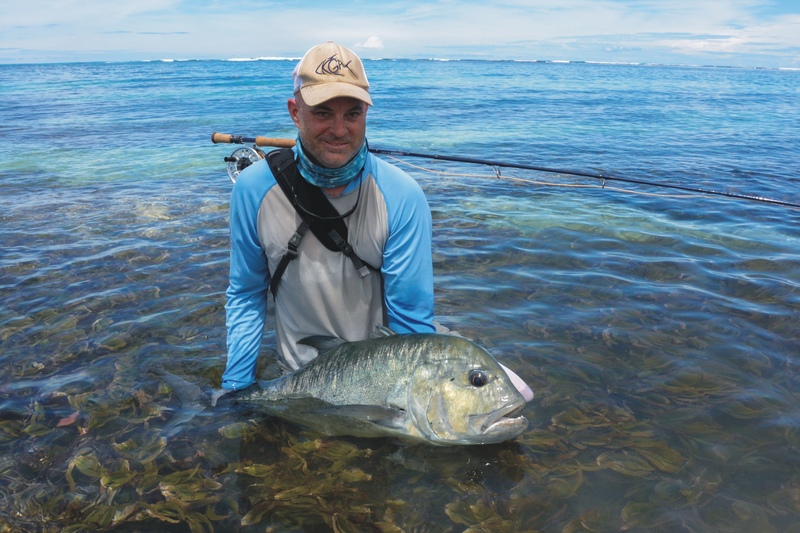 Tim aimed to capitalize and after a broken fly line, broken rod and five GT’s lost, he finally managed to catch a trophy fish of 101cm. 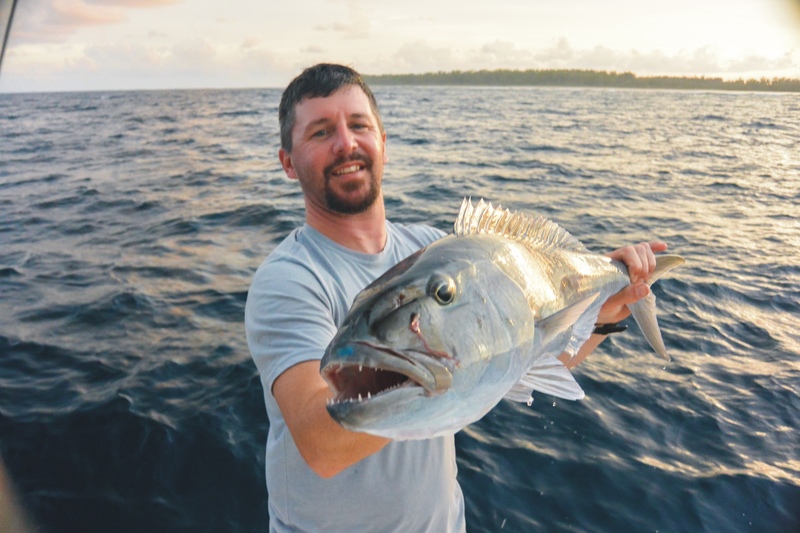 The Amirantes are widely known for their fantastic Indo-Pacific Permit fishing and the team of anglers were all eager to ‘touch gold’. 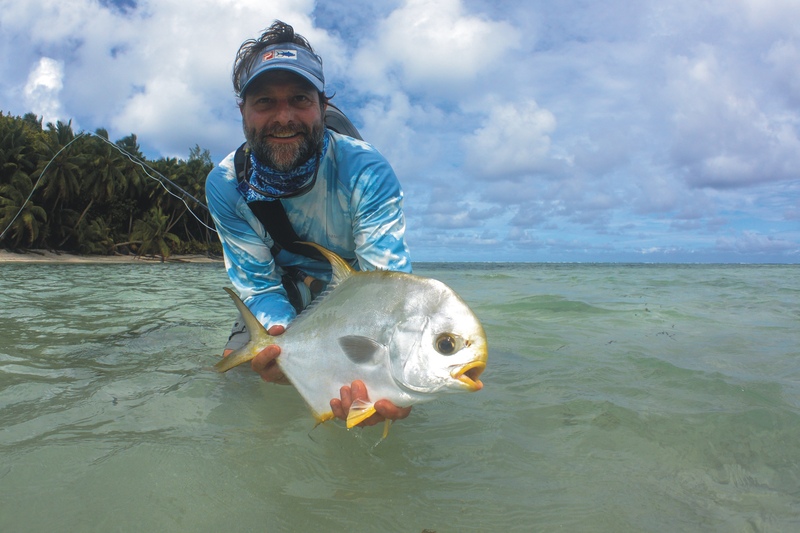 Tim and Mike were both able to make their opportunities count and land one Permit each. 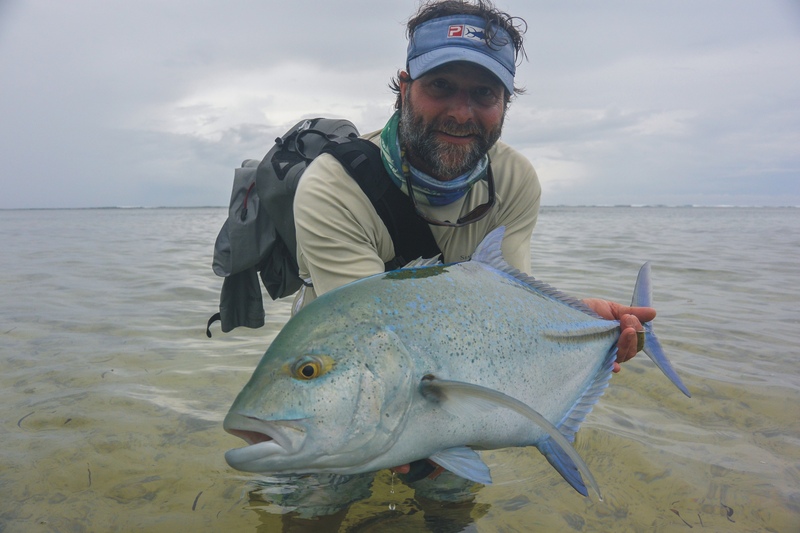 Mike being the Permit specialist he is, was the clear champion with four permits during his time spent on the flats. 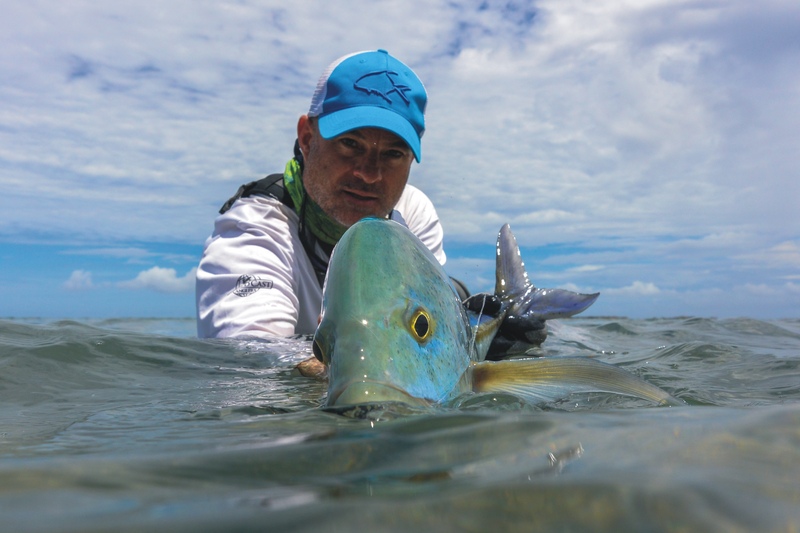 Despite some tricky low-light conditions, there were also plenty of other species up for grabs on the flats and everyone caught Bluefin, Yellowdot Trevally as well as a good number of Bonefish, with Mike catching a trophy Bonefish of 8lbs. 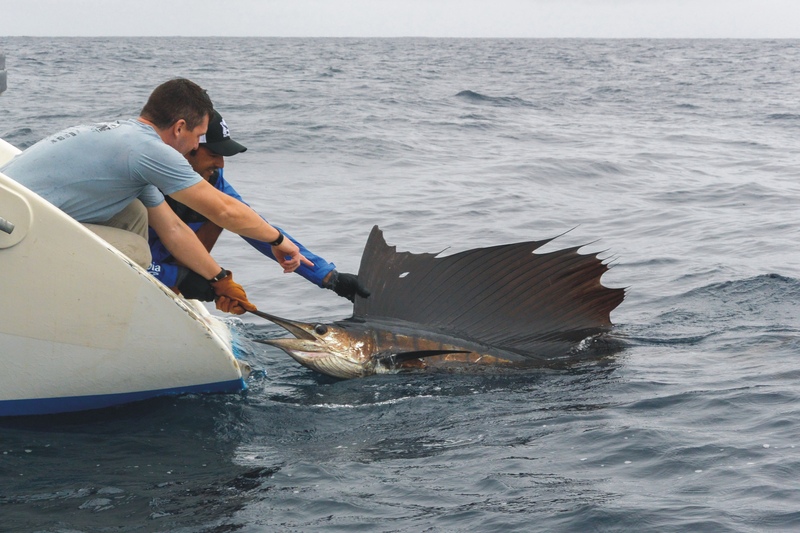 Out at sea, the team enjoys plenty Sailfish action with all four anglers managing to land a sailfish on fly. Jed and Mike even managed to double up and land two fish at the same time. All trips have to come to an end and it could not have ended any better. 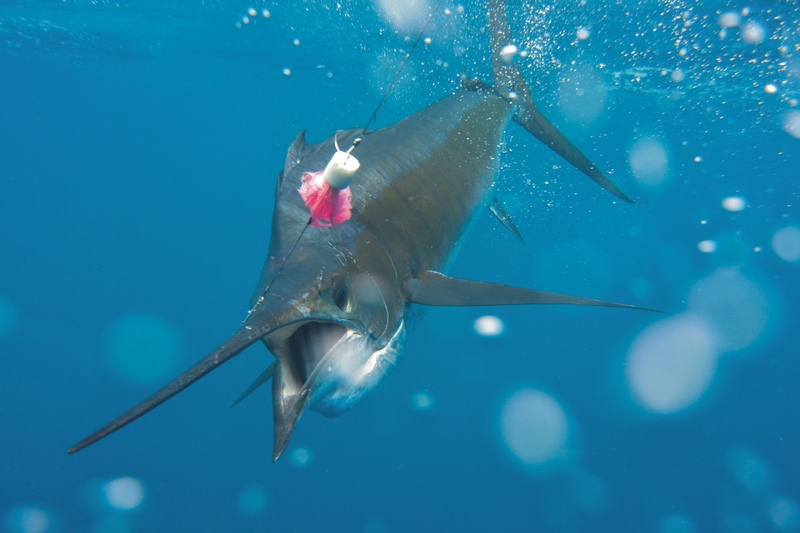 The final fish on the last evening was as special as the first when a Broadbill Swordfish came up from the depths to take one of the trawled lures. A titanic struggle ensued with all four guys getting involved in the fight before finally managing to subdue this fantastic fish. An amazing 10 days of fishing was had by all with a great group of guys. See all our images in the below. 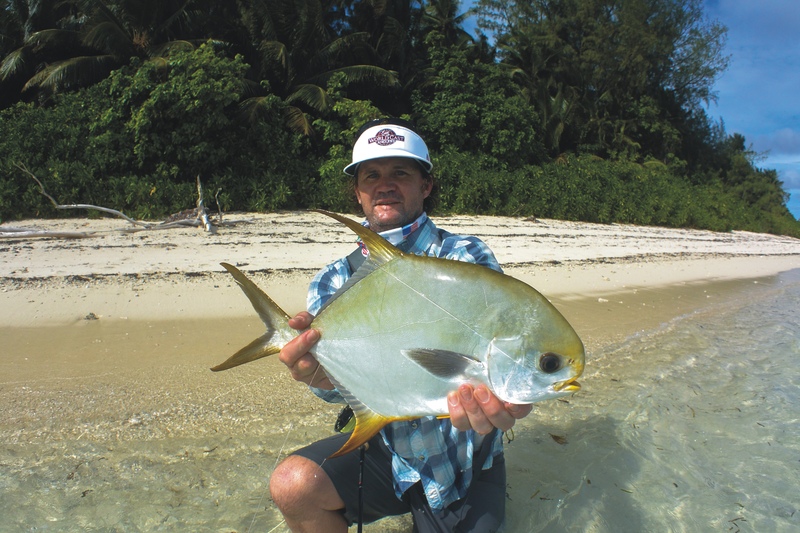 Find out more about Fishing in the Seychelles. 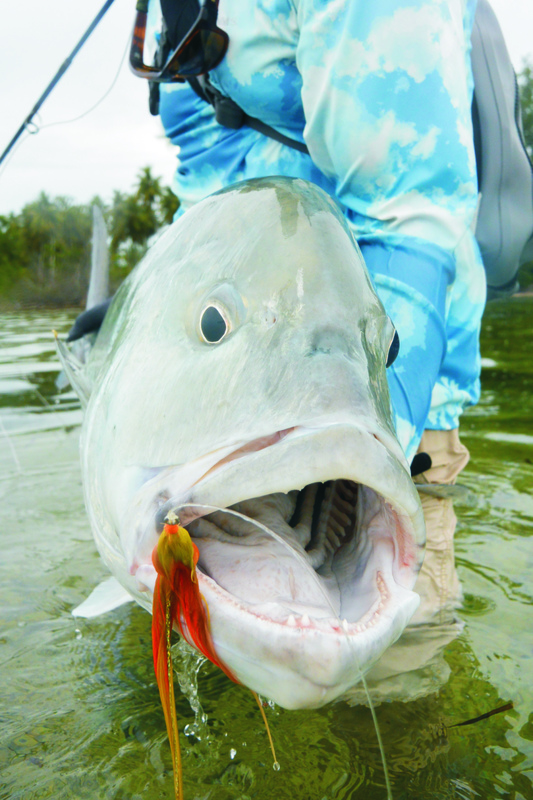 Tight lines from the Alphonse Fishing Co. team onboard A’mani.